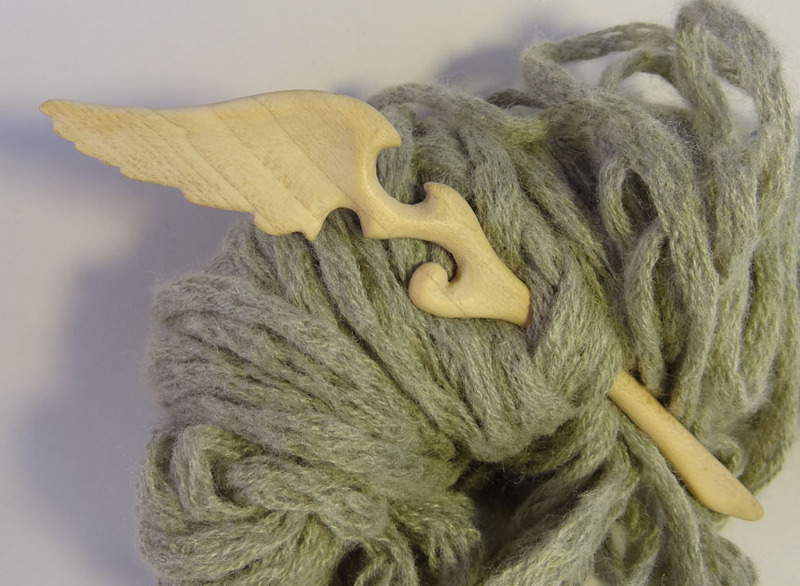 An ornate, swirling winged hair stick hand-carved from seasoned holly wood and polished beautifully smooth. The back of the wing sticks shows some of the figuring of the wood, as well as the rippling texture of feathers. The wide end of the hair stick helps it stay securely in place in the hair.